Try the Wheel – Level 2 Pre-Requisite Try The Wheel. No exceptions. This class starts with a short demo to refresh students with wheel throwing. The rest of the class will focus on strengthening skills such as compressing and strengthening rims. 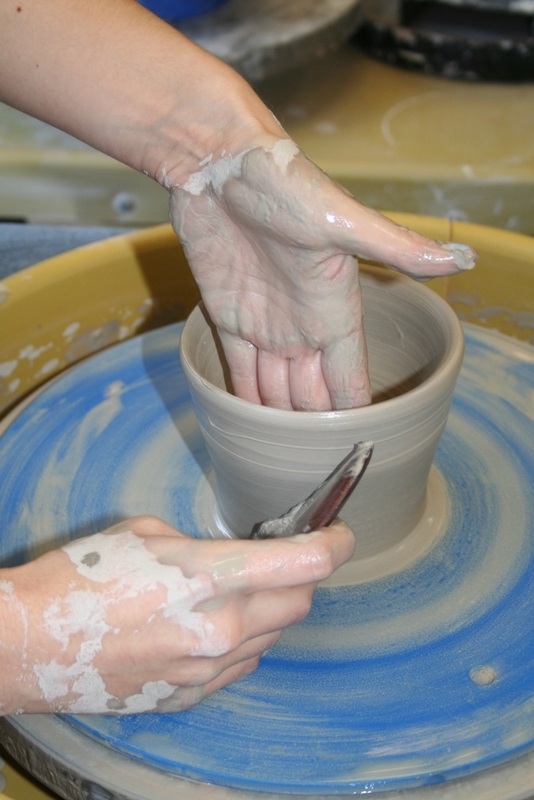 You will also be introduced to more of the tools that potters use in their work. We provide one and a half pounds of clay per student and each student will create a cup, bowl, or vase, and will choose a glaze from our studio options. Additional clay may be purchased, if you would like to make another piece during your 2-hour class. You will need to return after two weeks to pick up your finished piece and we discard finished products after 12 weeks.